Talking about your work is hard. First of all, it’s uncomfortable to talk about ourselves and our passions. Your work is personal, and sharing it is a moment of vulnerability. …And then there’s the problem of finding the right words, off the top of your head, to express your enthusiasm, especially when you’re a creative person, used to working with color, shape and line, or fabric, yarn and stitches. But speaking well about your work is necessary. Whether you’re writing an artist statement for your website, or sending a pitch email to the press, or explaining what you do at a craft show booth, you know it’s important to be able to explain what you do in a way that’s colorful, sparkly, and memorable. You’ve noticed that the rockstars in your field have a compelling, interesting description of their work. Without a great description, your work is less memorable. People don’t know how to talk about it, they don’t know why to buy it, and they can’t rave to their friends about it. The Right Words give your work handles. They make it easy for anyone to grasp what you do and then carry your message around. Saying, “I’m a knitter,” for example, doesn’t do anything to set you apart from all the other knitters in the world. Saying “I design vibrant lace shawls that add a touch of whimsy to modern fashion” is something else entirely. The path to success, press and sales is paved with compelling descriptions, clear benefits and the Right Words. In this 3 day class, we’ll help you locate the words that express the magic of what you do. We use a creativity-sparking visual process to dig into what you love, what you value, and the magic that you share in the world, so that you can talk about it confidently and easily. Class begins June 10, 2013 and costs $49. Sorry! This class is closed! Sign up here to learn about future classes with Tara, or sign up here to learn about future classes with Diane! Day One: You’ll immerse yourself in images (of your choosing). You’ll respond to these images to create a visual statement of your own spark. Day Two: You’ll use the images you found in Day One (along with some thought-provoking inquiry and discussion with your classmates) to find your Right Words – the ones that communicate your values + your passion. Day Three: You’ll combine all these words and images into a well-crafted statement of what you do and why it’s wonderful. 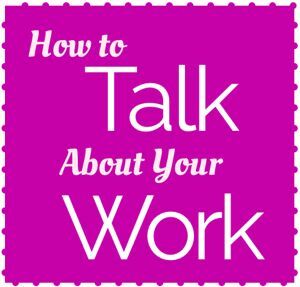 By the end of class, if you do your homework, you’ll have the words and confidence to clearly talk about your work. A new interactive lesson, with questions and assignments, every day for three days, delivered to your inbox. One week access to an online community to share your homework, ask questions, and be inspired. A final PDF including all the lessons and worksheets, for you to revisit as often as you like. When you click Register! you'll be taken to PayPal to pay (with a PayPal account, credit card or check). Within 24 hours you'll recieve an email from Tara (to your PayPal email address) with an invitation to join the classroom space. There you'll be able to meet other students and ask questions until class starts on June 10th. Each day of class you'll receive an email in the morning with your lessons and link to the discussion in the classroom. The conversation will continue throughout the week and you'll have access to the classroom for one month. Diane Gilleland is a professional blogger, author, and teacher since 2005, and a crafty person since birth. Her blog, CraftyPod.com, reaches a worldwide audience, and her online courses and ebooks help bloggers use internet tools better to pursue their creative dreams. Tara Swiger is a maker, author and Starship Captain. She creates explorations + provides support to brave business explorers, allowing them to follow their own path to success and sustainability. (And she wrote that sentence after doing the homework in this class!) 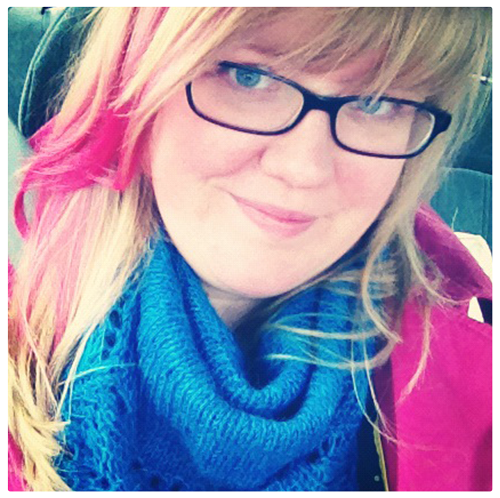 Her book, Market Yourself, is a system for sharing your handmade goodness with the world.